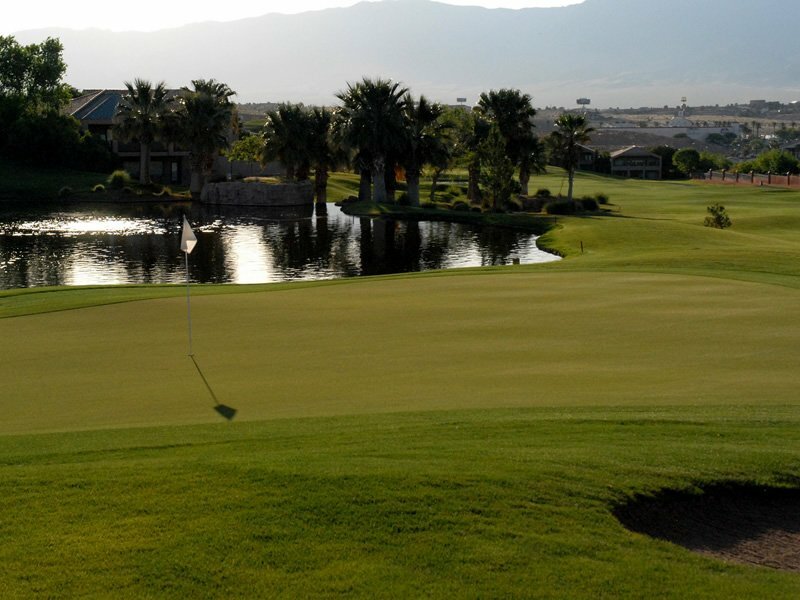 Distance from Strip: 60-75 Min. 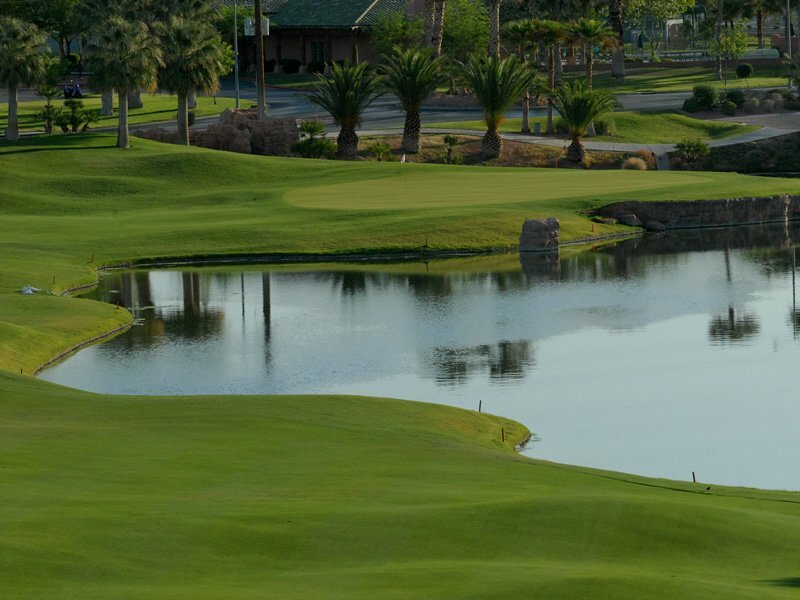 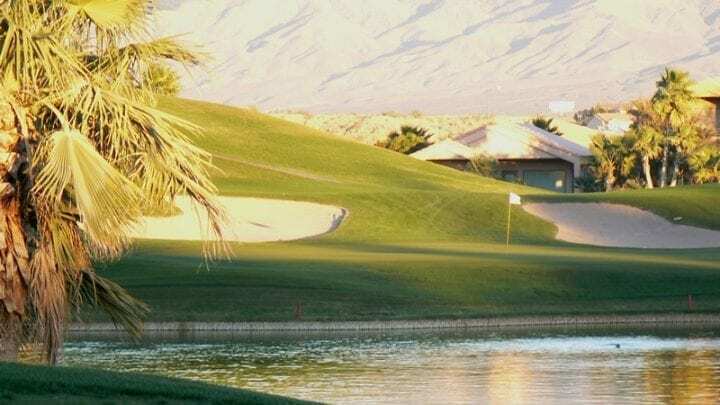 Created by Ed Seay and Arnold Palmer back in 1994, formerly known as the Oasis Golf Course and the only facility offering 36 holes (The Palmer/The Canyons), The Oasis Golf Club Palmer Course has been a “Top 10 You Can Play” for many years rated by Golf Digest when Mesquite was in its development stages. 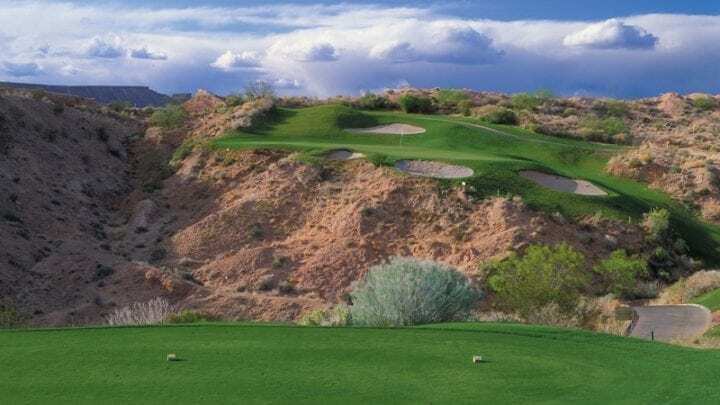 The Oasis Golf Club Palmer Course is rumored to be known as one of Arnold Palmer’s personal “Top 10” as it was created inside some of Mesquite’s gorgeous desert canyon soil. 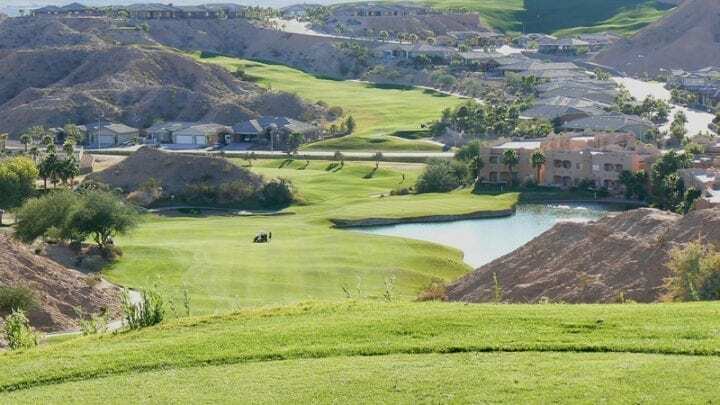 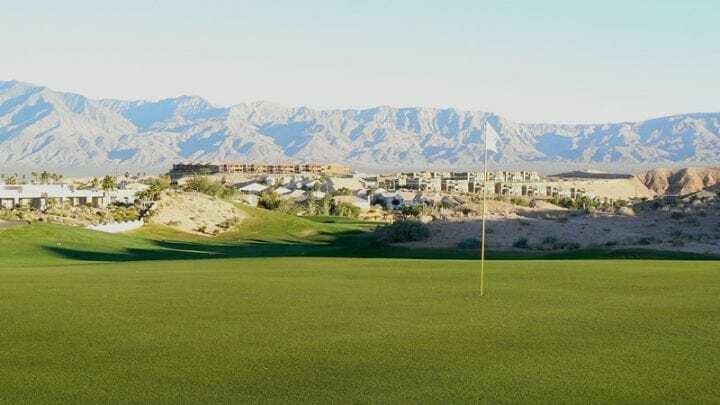 This par-71 course offers you a choice of five different tees making it playable for everyone and some of the most scenic desert panoramas in Southern Nevada. 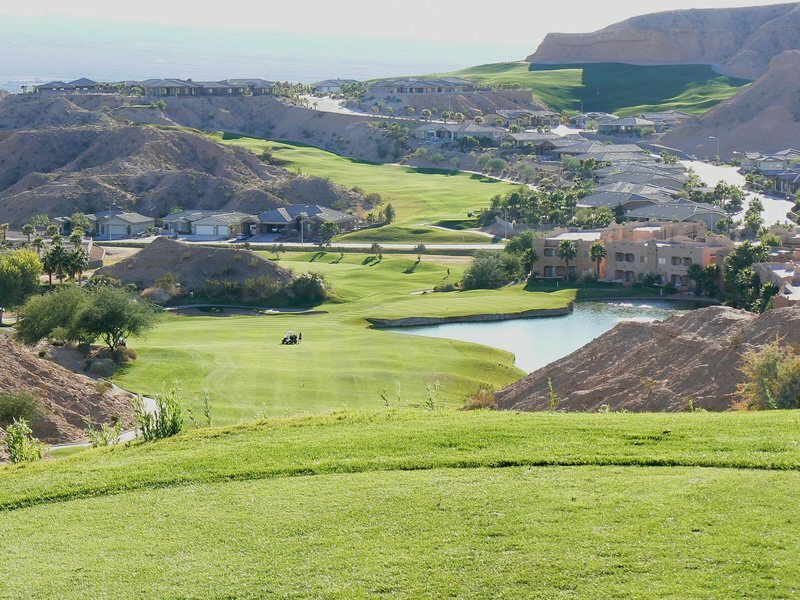 Its rugged canyon fairways and meticulous contour greens set this course apart as one of the best 18 holes you can play. 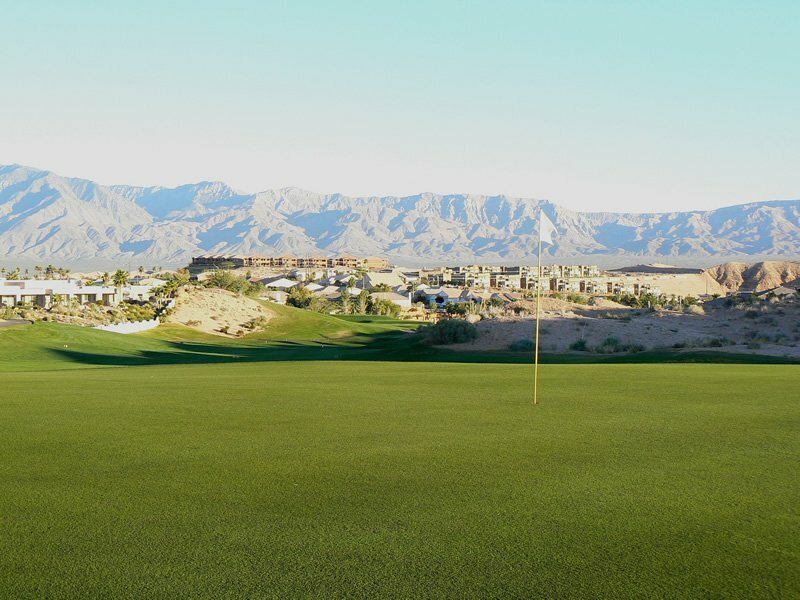 With four unique signature holes and dramatic elevated tees, this course is one that will test all skills and shot making abilities. 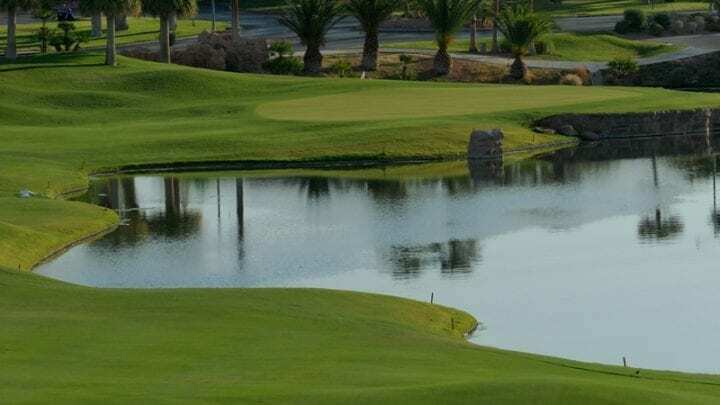 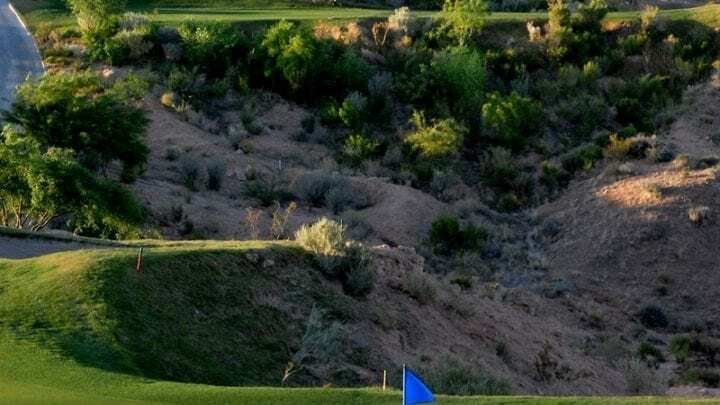 Built inside an upscale housing development, the theme for most of the course is comprised of forced carries over rock arroyos as to why it has been a “Top 10” for so long. 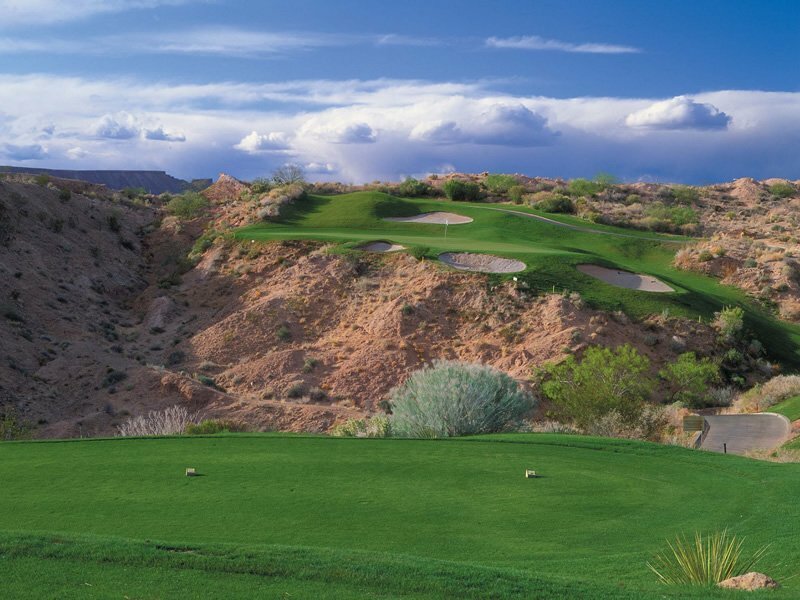 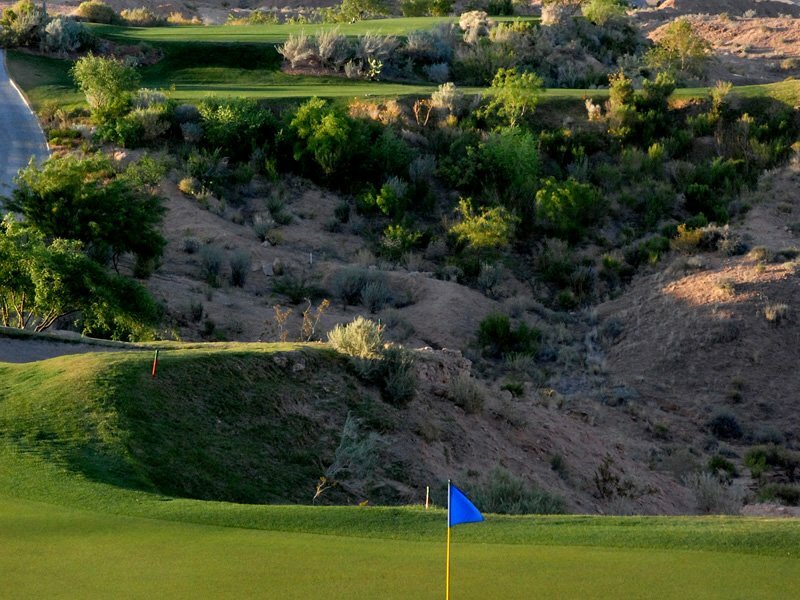 The Palmer course also played host to the “Big Break Mesquite” just a few years back. 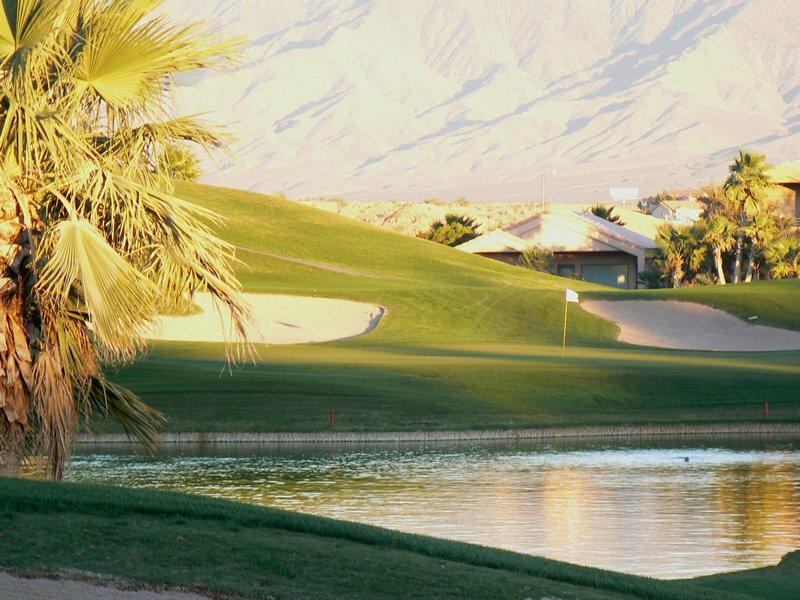 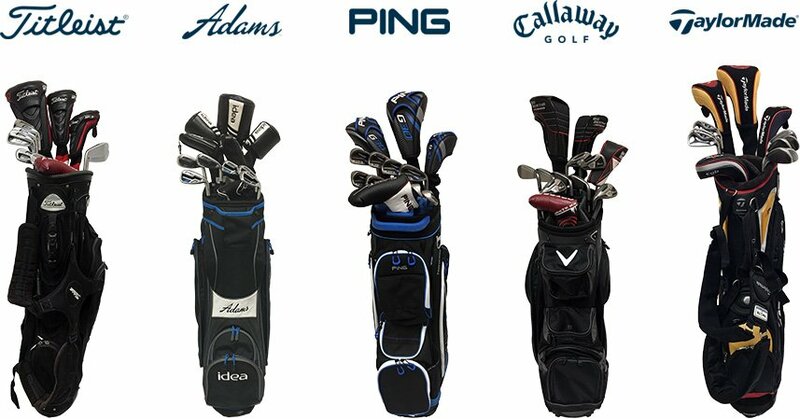 The Oasis facility consists of a 29,000 square-foot club house with a complete pro shop, locker rooms with showers, a fully stocked restaurant/bar, plus meeting & banquet rooms for all events. 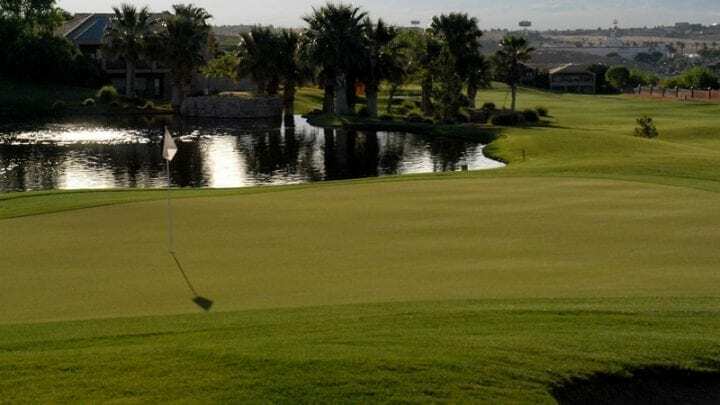 The practice facilities at the Oasis Golf Club includes a learning center, a grass driving range, two short game areas with bunkers, and a putting green.